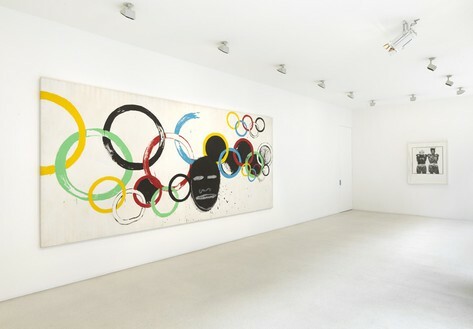 To coincide with the 2012 Summer Olympic Games in London, Gagosian Gallery is pleased to present Olympic Rings, a painting made by Andy Warhol and Jean-Michel Basquiat in 1985. 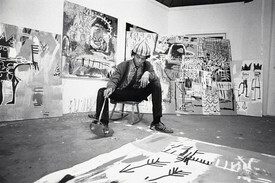 Warhol's contribution to the collaborations can be seen in his distinctive technique of hand-painting ready-made iconography, an early practice that he revived with Basquiat. 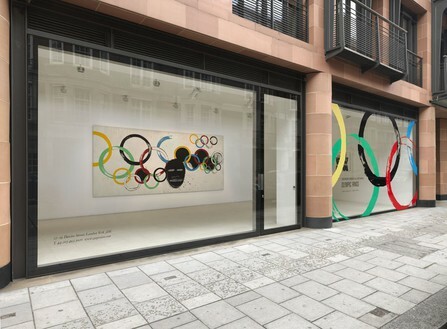 In the case of Olympic Rings, he made several variations of the Olympic five-ring symbol, rendered in the original primary colors. 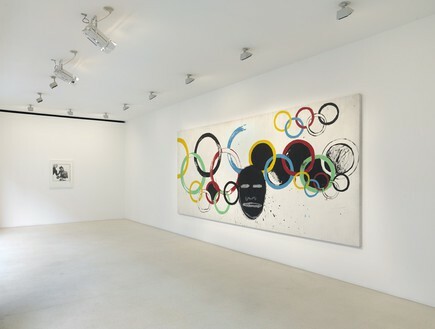 Basquiat responded to the abstract, stylized logos with his oppositional graffiti style. 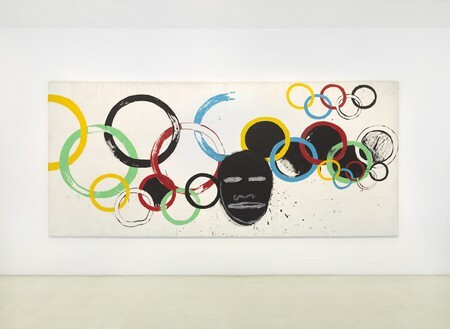 Between clusters of Warhol's Olympic rings, he imposed a bold, dark, mask-like head, like a medallion in a link chain, undoubtedly an allusion to African-American star athletes of past Olympic Games, such as Jesse Owens, Carl Lewis, Tommie Smith, and John Carlos. 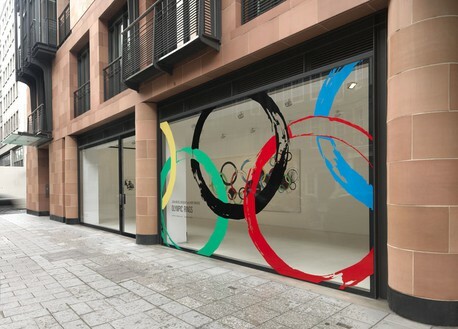 Andy Warhol (1928–1987) is widely regarded as a defining figure not only of the Pop Art movement of the 1960s but of an entire cultural era. 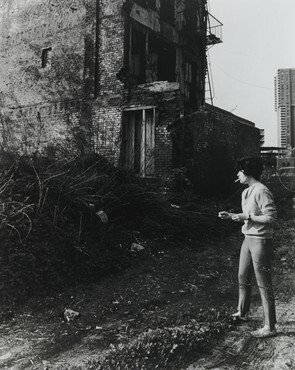 He worked prodigiously across a vast range of media, including painting, photography, print-making, drawing, sculpture, film (sixty experimental films between 1963 and 1968), television ("Andy Warhol's TV," 1982 and "Andy Warhol's Fifteen Minutes," 1986), publishing (Interview magazine, books, and catalogues), happenings, and performances. 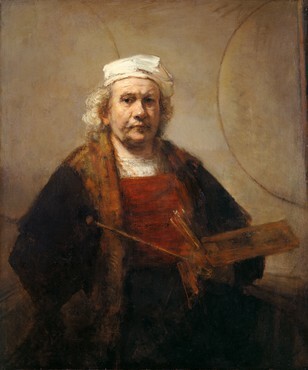 He also endorsed products, appeared in advertisements and made business deals, giving new currency to the philosophical and practical interplay between art as a reflection upon society and art as a product of society. 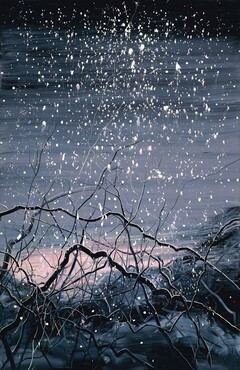 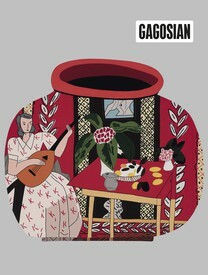 His work has been the subject of countless exhibitions in museums and galleries throughout the world. 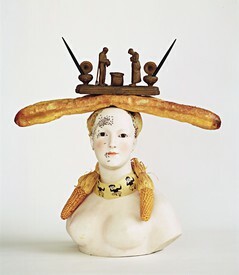 Recent exhibitions include “The Last Decade.” Milwaukee Art Museum (2009, traveled to Museum of Modern Art, Fort Worth, Brooklyn Museum of Art and the Baltimore Museum of Art); “Motion Pictures,” Museum of Modern Art, New York (2010); “The Early Sixties,” Kunstmuseum Basel (2010). 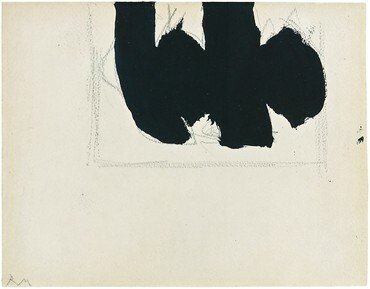 “Regarding Warhol: Fifty Artists, Fifty Years” will open at the Metropolitan Museum of Art, New York in September 2012. 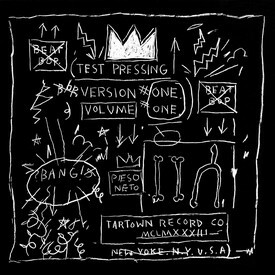 Jean-Michel Basquiat (1960–1988) was born in New York City. 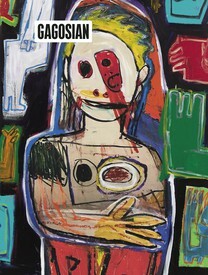 Major exhibitions include “Jean-Michel Basquiat: Paintings 1981–1984,” the Fruitmarket Gallery, Edinburgh (1984, traveled to the Institute of Contemporary Arts, London, and Museum Boijmans Van Beuningen, Rotterdam, in 1985); the Kestnergesellschaft, Hannover (1987, 1989); Whitney Museum of American Art, New York (1993, traveled to the Menil Collection, Houston, Texas; the Des Moines Art Center, Iowa; and the Montgomery Museum of Fine Art, Alabama, through 1994); “Basquiat,” the Brooklyn Museum, New York (2005, traveled to Museum of Contemporary Art, Los Angeles, and Museum of Fine Arts, Houston); and Fondation Beyeler, Basel, Switzerland (2010, traveled to Musée d’art moderne de la ville de Paris).